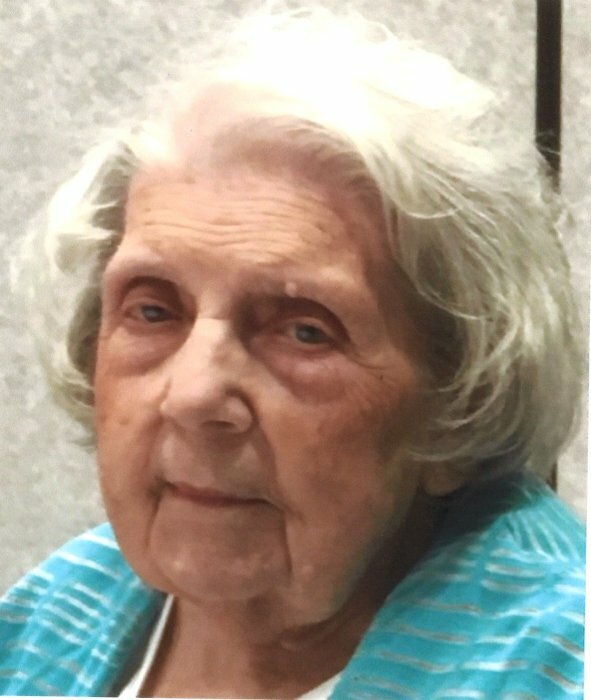 Opal I. Johnson, 102, of Fishers, passed away on Wednesday, April 10, 2019. She was born on November 6, 1916 in Fall Creek Township, Hamilton County, Indiana. She was the daughter of Archie and Leah (Madge) Beaver. Opal graduated from Fisher's High School in 1934. She became a member of the Order of the Eastern Star on July 13, 1937. Opal served as Worthy Matron of the Eastern Star in 1951. She received her 75 year pin in 2012. Opal was the first woman to receive that honor at the Fishers' Chapter. She worked for Schatts, that is now Firestone Industrial. Opal was also a homemaker and farmer's wife. She raised chickens and sold eggs at her farm. Opal loved flowers and was an excellent cook. She was the Archway Cookie Award winner in 1973 at the State Fair. She married her high school sweetheart, Russel F. Johnson on November 25, 1939. They had 3 children. Rosalyn Johnson Brown of Sheridan, Indiana and Art Johnson of Fishers, Indiana. Marion A. Johnson preceded her in death in 1963. Her husband, Russel passed away in 2002. She has 3 grandchildren, Kimber Rueff, Kristi Brown, and Steve Johnson; and 4 great-grandchildren, Nicole Rueff, Tyler Johnson, Henry Johnson, and Sam Johnson. Opal's family would like to thank Hamilton Trace for the care and attention she received. Services will be held at 10:00 am on Monday April 15, 2019 at Randall & Roberts Fishers Mortuary, 12010 Allisonville Road in Fishers, with Pastor Kevin McKinney officiating. Visitation will be from 3:00 pm to 6:00 pm on Sunday April 14, at the funeral home with an Eastern Star service at 6:00pm. Burial will be at Highland Cemetery in Fishers. Memorial contributions may be made to Fishers United Methodist Church, 9691 E 116th St, Fishers, IN 46037 or your favorite charity.